Sometimes, gauntlets offer more than good hand protection. In the case of these Dark Lords Gauntlets, they look as though they will double as effective weapons, not to mention impressive devices that will intimidate your foes. This gauntlets are made entirely from high quality leather and feature a truly impressive and elaborate design that will perfectly accommodate the style of any dark lord or lady that wears them. These gauntlets are made up of several layers of leather plating, all secured together by silver and bronze rivets. These gauntlets are designed to cover not just the forearm but also the hand, possessing wrist protectors that flex and move, as well as short finger extensions that do the same. The most impressive feature, though, is by far the two spikes that sit on the back of each gauntlet, making these leather arm protectors look as much like weapons as they do armor. The spikes are crafted entirely from high quality foam similar in nature to what LARP weapons are made from, ensuring that while they look real, they are perfectly safe for touch and impact. 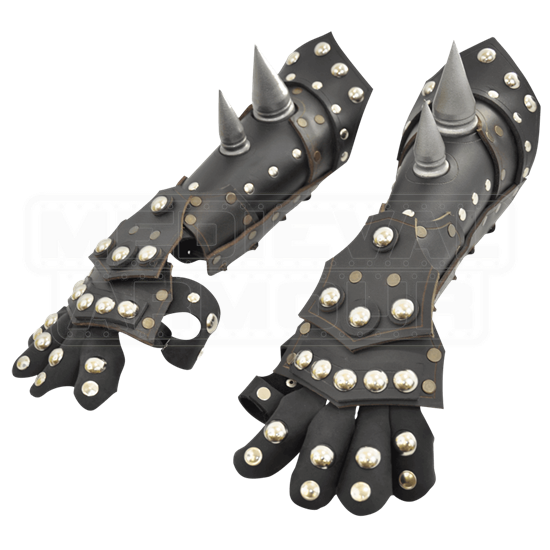 The gauntlets are only available in a dark brown and black color and come in one adjustable size, although because they are worn via grommets and laces, they happen to be quite adjustable and can fit a variety of different arm sizes. 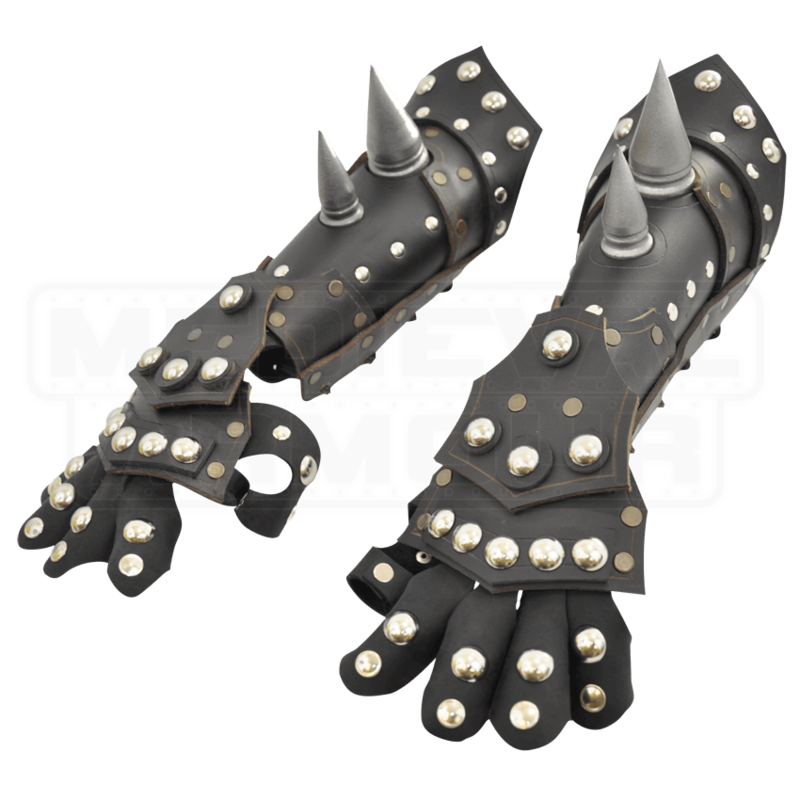 Donning these Dark Lord Gauntlets will not only make your arms feel protected, but they will also go a long way to towards transforming your forearms into deadly weapons, capable of feeling an enemy with little more than a simple back-hand strike!